This testimony to the Occupational Therapy service is remarkable in one sense – in as much as it demonstrates the power of AHP support; but unremarkable in another – as it is just one example of where AHPs are making that life changing difference – day in day out. As society changes – older, not yet better health; and the world we live in also changes – digital and artificial intelligence, not yet fully harnessed; so too must we as practitioners change. Working in ways that we previously had never imagined – enabled by new technologies; earlier intervention; AHPs being first point of contact and managing the whole patient pathway. At times it feels as though the new (and not so new) practice is being carried out in a sterile bubble – with limited spread across the country. At other times- change travels across the country in waves – such as the first point of contact physiotherapist that is proving to be very successful in supporting primary care reform and helping people see the right professional at the right time. It feels as though the equilibrium has been disrupted for AHPs; the demand for services can at times be relentless- and the professions know they can make an even greater contribution if they are given their head – however the rhetoric of reforming services must be at the heart of what we do – at times can feel slightly hollow when not backed up by action. Does the establishment want change or not? The CHPO role has been vacated and at the moment we are reflecting on how best to provide national leadership for the profession – so that the power of AHPs can be unleashed. There is a new provider for OT and physiotherapy programmes; there is a new digital strategy that ought to support access to new ways of working. We have a new Cabinet Secretary who has set out her priorities of meeting waiting times, picking up the pace of integration and primary care reform, mental health as well as improving public health. None of which will be done without maximizing the contribution of AHPs. Everybody has a role to play in reforming our services and improving health – I often point out that our health facilities would not be open if it wasn’t for our health care support workers. Doctors and nurses tend to be the go to professions in people’s minds. However – rehabilitation, enablement, diagnosis, care and treatment are never going to be fully effective without supporting our AHPs in Scotland to do what only they can do – sometimes that will be backroom support – and at other times leading from the front. With new roles across the country – we need to look at making sure we not only have enough new AHP graduates, but post graduate opportunities and leadership posts are also put in place in a systematic way across the country. The Health & Care (Staffing)(Scotland) legislation that is passing through parliament at the moment will clearly include AHPs, the Transforming Role Programme will support the creation and sustaining of new and innovative practice. And of course Boards have had the opportunity to show what AILP can do to help early intervention and self-management. Increased numbers of mental health workers; improved services for CAMHS; reduced waiting for diagnostics and access to treatment; primary care reform and increased pace for progress with health and social care integration. Real opportunities are there to improve services for the people of Scotland – real opportunities are there for the AHPs in Scotland. I look forwards to a year of opportunity and change – and that incredible journeys are made possible in ways that we never thought existed. 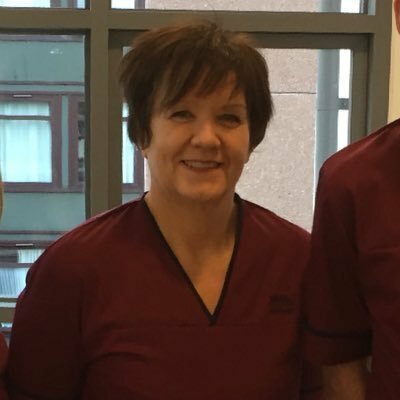 As we are about to enter 2019 we leave you with this blog from Scotland’s Chief Nursing Officer. Delighted for this to be the first thing to read at the start of 2019. A refreshing and motivating start. A Once For Scotland Approach to Food Fluid and Nutrition in Adult Social Care. IDDSI- international dysphagia diet standardisation initiative. To tweet or not to tweet…..